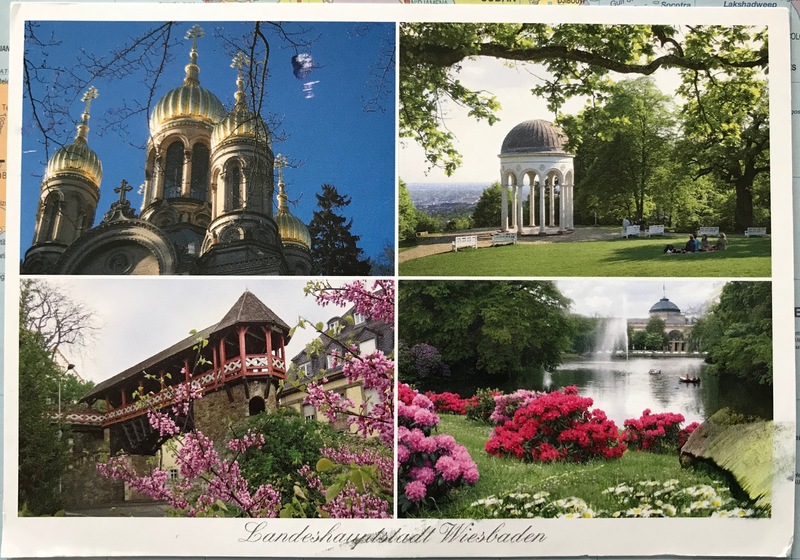 Thank you to Christine for sending this card from Wiesbaden, Germany. Wiesbaden is also famous for its thermal spas, or hot springs, similar to Bath in England. Hot springs bring underground heated water to the surface. The energy that heats the water comes from geothermal activity. Before many people had hot water on tap these places were popular for bathing and towns sprang up around the springs. Where else can hot springs be found? Is there a pattern to their location?